I thought it looked kinda oriental and the colors were perfect. First, remove all the tags and separate the items. 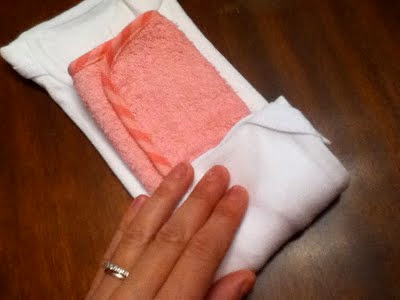 Take the two white wash clothes with pink trim and fold them in half twice the long way so that when you roll it up, the pink is in the center. Towards the end of the roll, tuck the last bit under so the pink doesn't show. 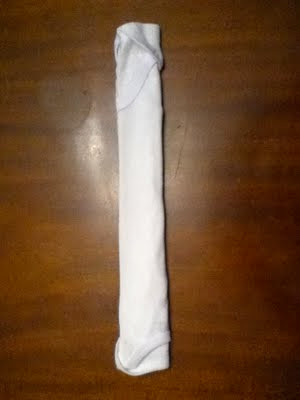 Repeat white the other white wash cloth. Secure with rubber bands. You now have two maki. 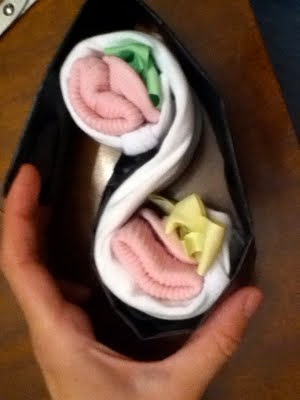 Take one onesie, a pair of socks and two hair bows, these will form two maki. Turn the onesie face down on the table and fold both arm sides in. 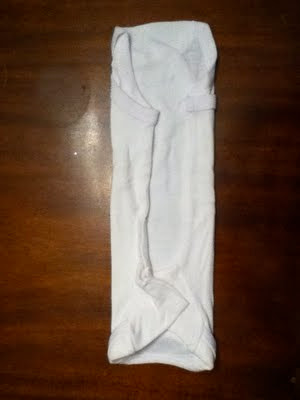 Then fold in half the long way. You should have a long white strip. 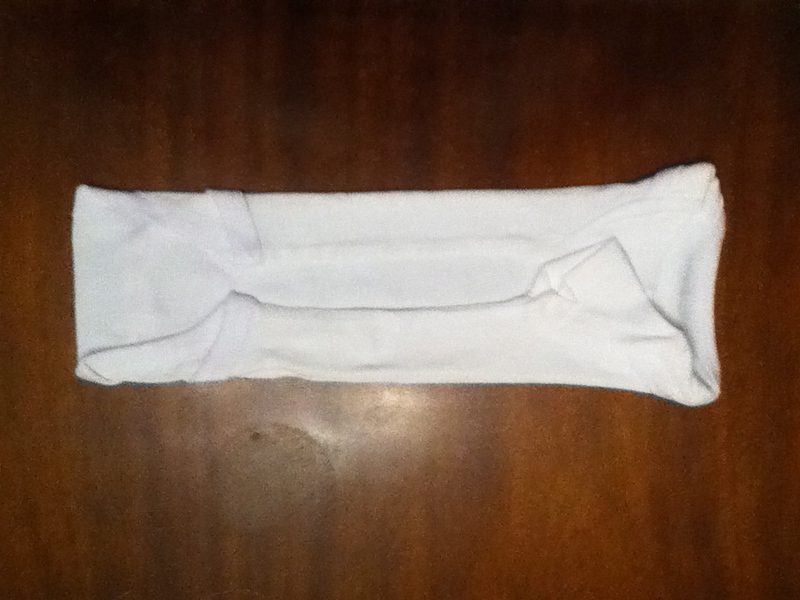 fold a sock in half (toe to the top of the cuff edge) and lay on the edge of the strip so that the sock cuff edge is flush or just past the edge of the white strip. Top with a hair bow and roll tightly to the center of the strip. Carefully hold that roll in place and turn the whole thing over. 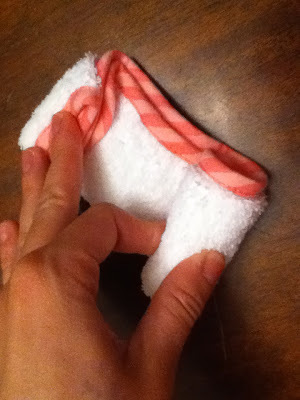 Then repeat on the other side, being careful to place the sock cuff edge on the same side as the other, and roll towards the center. You should have a double S shaped roll. Secure the whole thing with a rubber band. 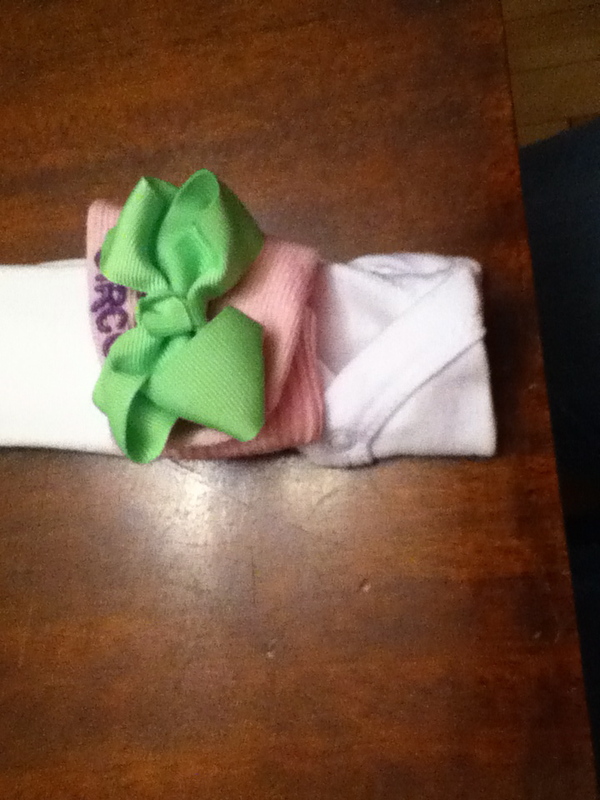 Repeat with a second onesie, the other pair of socks and the other two hair bows. You now have 4 more maki. Place the final onesie face down on the table and fold arm sides to the middle. 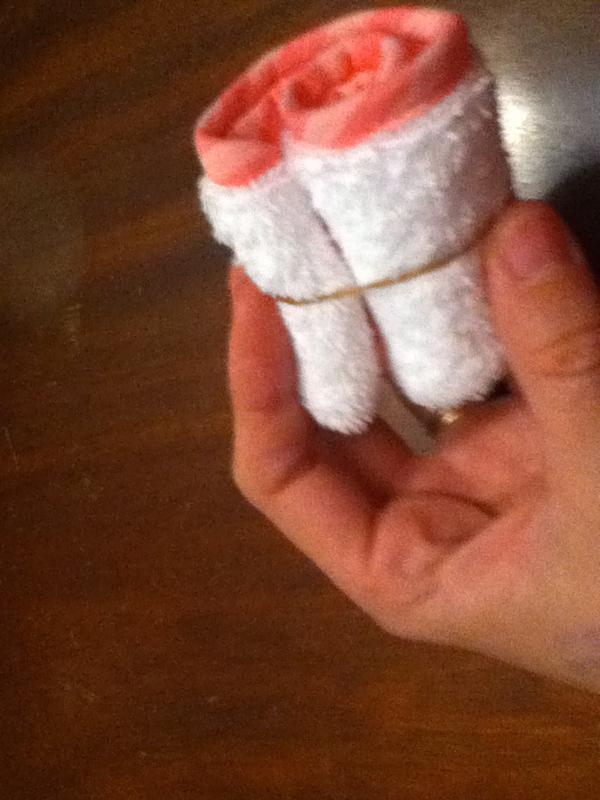 Fold the pink wash cloth in thirds and place atop the folded onesie. 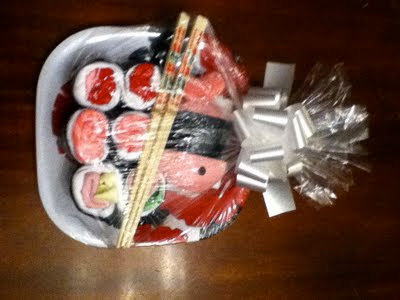 This will give your sushi more thickness. 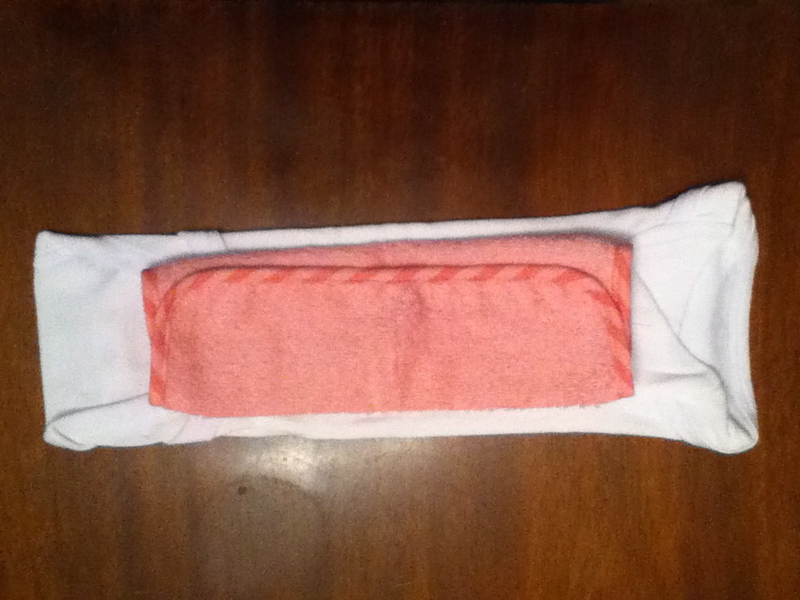 fold the bottom edge of the onesie over the wash cloth and then fold 3 more times forming a rectangular shape. This is your sushi rice. 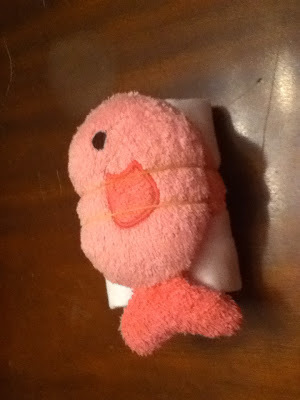 place the fish toy on top and secure with 2 rubber bands. 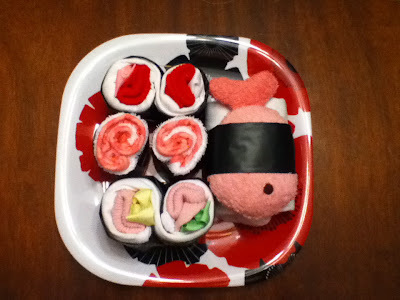 Now to add the black nori seaweed wrappers. Open the black plastic table cloth and unfold once. cut along the first fold and open that piece up. 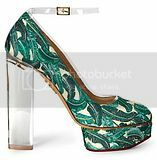 You should have a long strip of plastic. fold that piece in thirs the long way to give the strip nice clean folded edges. 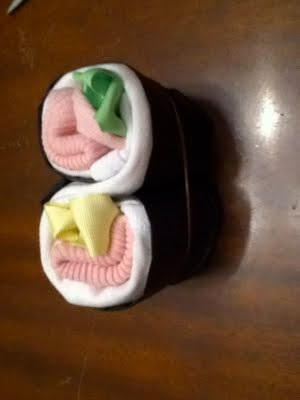 Adjust the width to best suit your sushi. 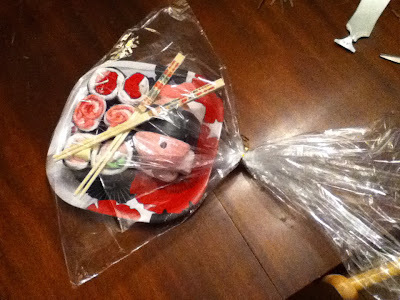 wrap the strip around the sushi's middle and cut to size. Tuck in the end for a clean finish and secure with tape. Repeat to make strips for the maki. 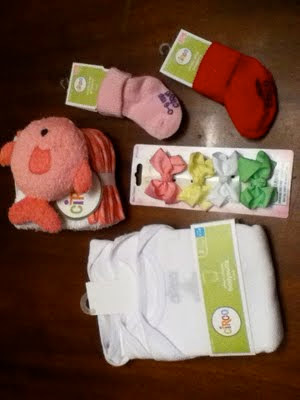 The washcloth ones are easiest. Simply wrap, tuck the end and secure with another rubber band. The others are more tricky. 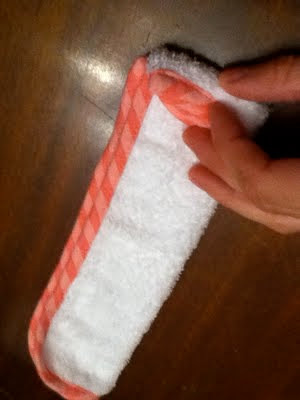 you need to take off the rubber band and hold the rolls securely. 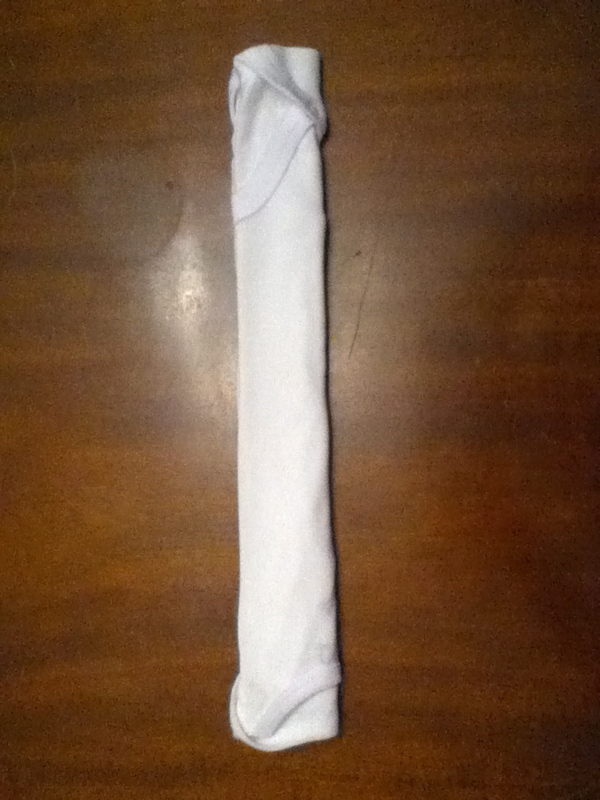 Slightly unroll one end and start wrapping with the plastic strip. When you get to the other edge, make a V fold and tuck it into the place where the first roll touches the second. Then continue wrapping the other roll, trimming the plastic strip to fit, and secure the whole thing with a rubber band. Adjust the plastic wrap to make it look nice if needed and tighten it up by pressing a butter knife or pencil into the V fold area and ends. 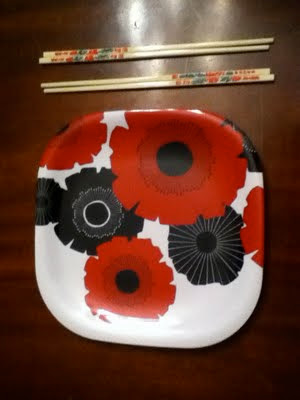 Repeat with other set of maki. If you want, you can top the whole thing with a pair of chopsticks or two. I used ones from home that I bought at an asian market in a huge pack. I then taped the gift receipt inside the card, signed it and slipped it in the envelope. 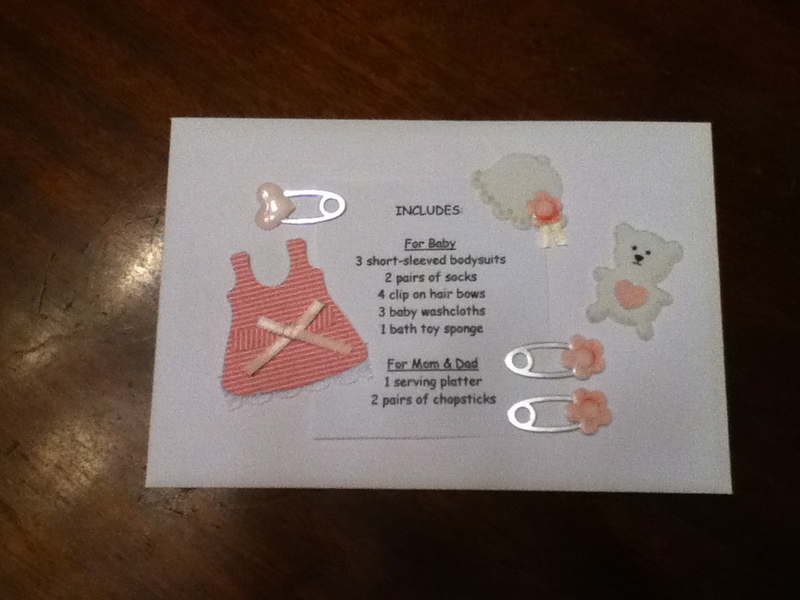 I printed out this label and taped it to the outside of the envelope and decorated it with scrapbooking stickers. Finally, I put the whole thing in the shrink wrap bag with the card underneath. 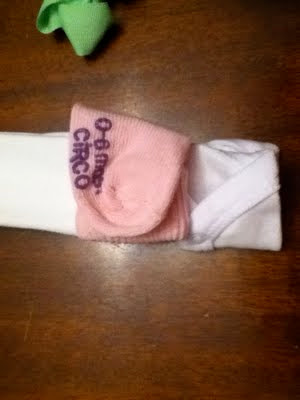 The corners stuck out so I folded then twice and taped them down in back. Then I tied it off and trimmed the excess on top.